IRIS (SFI Partner), UiA and GCENODE receive funding through the INTPART program, see this link. The project is called NorTex Data Science Cluster and is led by Rice University. More information from IRIS. 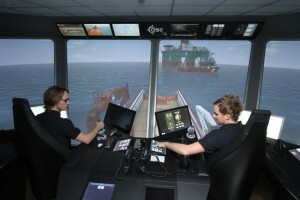 Activities in the SFI plan to use the simulator facilities at the Offshore Simulator Centre. 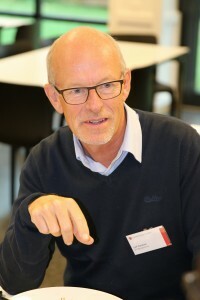 These activities will be led by the SFI Partner Aalesund University College. 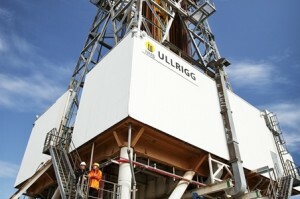 Activities in the SFI plan to use Ullrigg Drilling And Well Centre operated by the SFI Partner IRIS for future demos and qualification of methods and solutions. 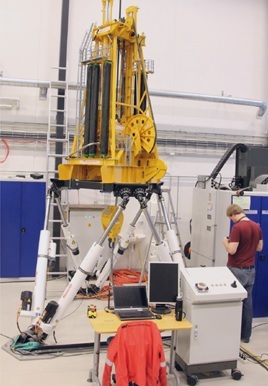 The researchers in the SFI, in particular in WP2 Motion Compensation and WP3 Robotics and Autonomy, will have access to lab facilities provided by the Motion Laboratory located at UiA. All publications in the centre are approved by the SFI board before submission to conferences and journals. The first researchers in the SFI Offshore Mechatronics have started. Torstein Myhre (Post.Doc,NTNU) and Geir Ole Tysse (PhD, NTNU) will work in WP2 (Motion Compensation) while Sondre Sanden Tørdal (PhD, UiA) will also work in WP2. The picture below was taken in the Motion Lab during the Drilling Seminar at UiA. 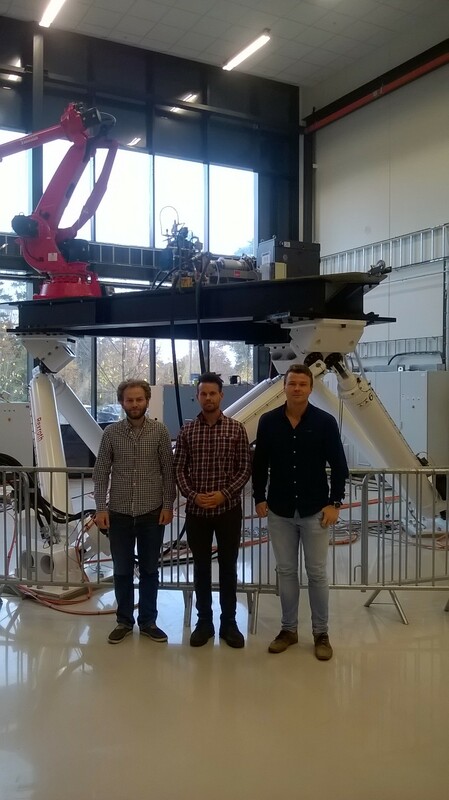 The first researchers in SFI Offshore Mechatronics have started, From left to right: Torstein Myhre (Post.Doc, NTNU), Geir Tysse (PhD, NTNU) and Sondre Sanden Tørdal (PhD, UiA). 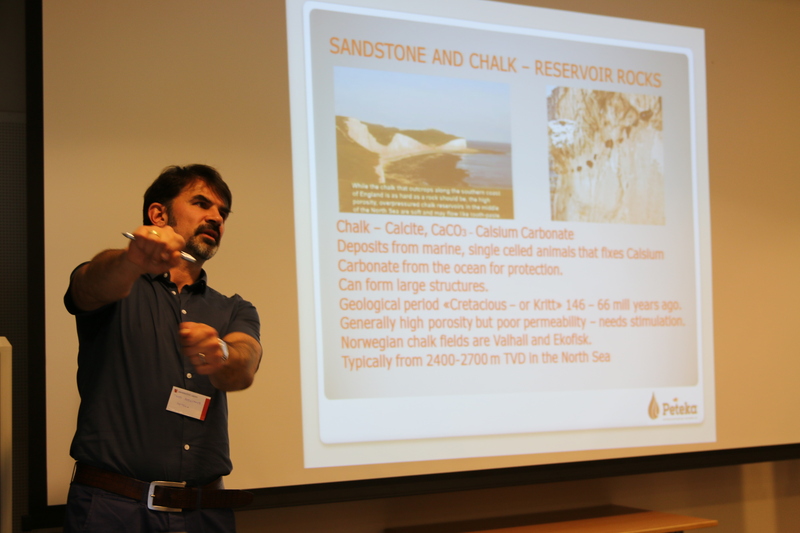 This week over 30 of the SFI staff – both from industry partners and from all academic partners – had a two days drilling course held by drilling expert Thore Bergsaker. Thore Bergsaker lead the participants through geology, well design, drilling technology, production of wells and well intervention. There where also a discussion on effectiveness, safety and risks. 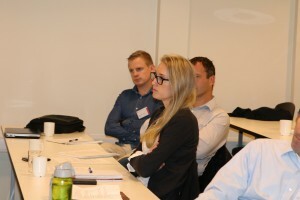 The course is important for all the SFI partners, especially those from UiA, NTNU, RWTH Aachen and Teknova – to get the understanding and basic knowledge about drilling in “real life”.